Real Support is an all-inclusive service partner for private and business clients in the UK. it has various services such as Cleaning, Moving, Hand-work and Courier service. we work with various Self-employed partner together for our clients. In order to use our platform and services, Terms and Conditions apply. Real Support Terms & Conditions update on 01 Jan 2019. The provision of household services cleaning, Re-location and Handwork activities in private households or commercial facilities by independent entrepreneurs by the REAL SUPPORT Registered under as PROFESSIONAL SERVICE SUPPORT LIMITED, Company number: 11859337. Company Address is 113 Kentmere Avenue, NE6 4HE Newcastle Upon Tyne. 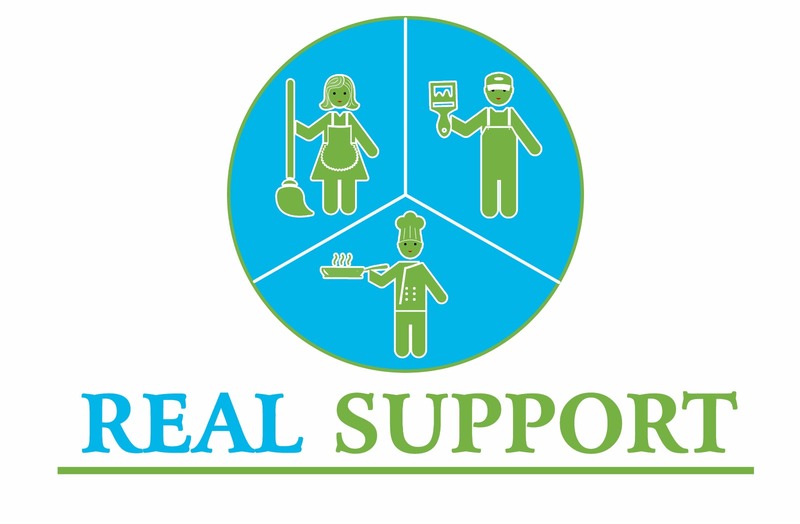 In addition, the other use of the website www.real-support.com ("PLATFORM") and the services of REAL SUPPORT exclusively made based on these General Terms and Conditions. Deviations require the express consent of REAL SUPPORT. These terms and conditions apply for the arranging contracts for household Cleaning services, Moving/Courier Services, Handwork Service with clients ("CLIENT") through the platform for the offering and finding such services, as well as for the commercial processing of such contracts through REAL SUPPORT on behalf of the SERVICE PARTNER. The settlement of payments of the CLIENT to the SERVICE PARTNER is via a licensed payment service ("Stripe") based on a separate payment service agreement between the payment service and the SERVICE PARTNER. REAL SUPPORT is an introducer for this payment service contract, it is not itself involved in the payment settlement process. REAL SUPPORT is not responsible for the execution and performance of contracts for service/work/job through/by SERVICE PARTNER. To operate the platform and to deliver leads to the SERVICE PARTNER there with the times and place for service specified by it. Providing a user account for the SERVICE PARTNER listed on the mediated REAL SUPPORT all contracts and invoices kept available. To provide the times and location offered by the SERVICE PARTNER and appropriate inquiries with CLIENT. Forward booking requests from CLIENT to the SERVICE PARTNER, first if the CLIENT has chosen a specific SERVICE PARTNER (even in such a case it is the sole decision of the SERVICE PARTNER whether to accept an offer or not). To ensure the SERVICE PARTNER with liability insurance regarding damages in the provision of the services - in this case only damages exceeding GBP 150 up to GBP 2.000.000. Damage claim needs to be informed within 24 hours from working execution time to Real Support by email, SMS etc. Later than 24 hours, no damage claim will not be accepted. In addition, REAL SUPPORT is liable in the event of a breach of contractual and non-contractual obligations by REAL SUPPORT in accordance with statutory provisions. REAL SUPPORT shall be liable for damages in the event of intent and gross negligence, irrespective of the legal basis. For damages arising from injury to life, body or health. For damages arising from breach of a contractual obligation (obligation whose fulfillment is essential to the proper conduct of the agency contract at all and on the observance of which the SERVICE PARTNER may be regularly trust). REAL SUPPORT handle changes, Create and cancellations of CLIENT bookings by their request or by the request of SERVICE PARTNER. When a change happens to an appointment for regarding booking or cancelation happen, REAL SUPPORT will notify the SERVICE PARTNER and CLIENTS immediately. The brokerage agreement begins after the registration in the platform and the release of the platform by REAL SUPPORT. It runs indefinitely and can be terminated for both parties at any times observing legal notice periods. Notice of termination must give in writing. Notice by e-mail will be accepted. The Platform www.real-support.com also contain links to websites, which maintained by third parties, and REAL SUPPORT does not monitor their contents. Links to other websites are only for the convenience of navigation. REAL SUPPORT assumes no responsibility for the content of third-party websites. REAL SUPPORT entrusted by the SERVICE PARTNER for the enforcement of service contracts. In addition, to receive a commission for every mediated service contract. REAL SUPPORT is a trade representative of the SERVICE PARTNER. SERVICE PARTNER offers REAL SUPPORT the conclusion of the Treaty on mediation and other services ("Mediation Agreement") by logging/Registering into the platform. When signing the SERVICE PARTNER provides data in accordance with this agreement (described below) to truthfully, enter and submit the documents referred to therein. REAL SUPPORT reviews the offer and confirms the SERVICE PARTNER, after completion of verification of registration, stating the activation of the complete user's account. The mediation agreement made with the communication from the activation email or phone call. A right to enter a mediation contract with REAL SUPPORT also exists. Name, address, and other personal data. SERVICE PARTNER agrees also to the transfer of the necessary payment processing data (name, account number, etc.) to the payment service to coincide with the conclusion of the mediation contract. REAL SUPPORT takes on the platform through its website, telephone, SMS or e-mail requests from the CLIENT for services ("BOOKING REQUEST") and evaluates the booking request according to place, time and scope. REAL SUPPORT determines the appropriate SERVICE PARTNER for the booking request of the CLIENT and sends the booking request to them (usually by forwarding the booking request via email, via SMS, via the website or in an individual case by phone). All SERVICE PARTNER who is working in a specific area usually receives the service request from the CLIENTs through Real Supports (website, SMS, email or some case by telephone) Platform. In the case that the CLIENTs select a specific SERVICE PARTNER then the service request is only to that person. As soon as any of the SERVICE PARTNERs accept the booking request, the booking request for any other SERVICE PARTNER is blocked. REAL SUPPORT creates bills on behalf of the SERVICE PARTNER for the SERVICE and ensures delivery to the CLIENT. Any changes to the SERVICE PARTNERS tax rate need to update by contacting REAL SUPPORT. After the acceptance of a service request by any SERVICE PARTNER, the CLIENT notified via email with SERVICE PARTNERs information and Booking Confirmation. REAL SUPPORT involves in the conclusion of contracts for the services as an agent for the SERVICE PARTNER. The SERVICE PARTNER carries out the service contracts agreed with their CLIENTs by their own organization and responsibility. REAL SUPPORT receives notice of any defects reported by CLIENTs and forward them to the SERVICE PARTNER for examination and possible repair. The SERVICE PARTNER must request REAL SUPPORT to make refunds or any credit note need be submitted due to defect to their CLIENTs. REAL SUPPORT shall be entitled to request references regarding activities carried out as a SERVICE PARTNER, for example, references from former CLIENTS prior to registration, or to carry out a preliminary agreement in which the SERVICE PARTNER accompanies a self-employed SERVICE PROVIDER selected by REAL SUPPORT to demonstrate their professional competence. If the above information is changed, the SERVICE PARTNER is obliged to notify REAL SUPPORT immediately. In addition, the SERVICE PARTNER hereby confirms that it is aware that without submitting the requested information and documents, is not possible to arrange service contracts for the SERVICE PARTNER. The SERVICE PARTNER confirms by registering on the platform that it provides the specified services within the scope of a properly registered trade. REAL SUPPORT is entitled to terminate the agreement if the SERVICE PARTNER does not present a valid business license or agreement for the execution of household related services within 4 weeks after the first order was completed. The SERVICE PARTNER is responsible for the proper submission of taxes and related duties. The SERVICE PARTNER is available for the provision of different services for CLIENTS according to the performance schedule attached to these General Terms and Conditions. There is no obligation to accept booking requests, The SERVICE PARTNER authorizes REAL SUPPORT to accept booking requests and submit the declarations necessary for the order processing in accordance with its instructions. The SERVICE PARTNER pays REAL SUPPORT an excess of up to GBP 100.00, provided a CLIENT claims damage through the activities of the SERVICE PARTNER and the damage covered by the liability insurance concluded in favor of the SERVICE PARTNER. The SERVICE PARTNER is responsible for providing REAL SUPPORT with all information necessary for the processing of damages requested by REAL SUPPORT. The SERVICE PARTNER informs REAL SUPPORT of short-term changes regarding the services already booked, in particular, delay via the platform or by telephone, in order for REAL SUPPORT to notify the CLIENT. SERVICE PARTNER will be responsible for providing any other information requested and liability insurance if needed for any person working for them. Any booking accepted by a SERVICE PARTNER cannot be canceled or changed on their profile on the REAL SUPPORT platform. It only can be done by contacting REAL SUPPORT by email or phone call. By canceling a booking less than 36 hours before the booking schedule time, the SERVICE PARTNER will be charged at flat 10 GBP for the expense of returned payment service and other expenses incurred by REAL SUPPORT. In case of any illness or any other emergency REAL SUPPORT will bear the cost, while the SERVICE PARTNER must contact REAL SUPPORT as soon as they are aware of a situation requiring cancellation. If a booking agreed between SERVICE PARTNER and CLIENT not carried out for any reason by the SERVICE PARTNER, and if the CLIENT does not pay, REAL SUPPORT's commission claim fully retained. The same applies in the event that the CLIENT refuses to pay due to the poor performance of the cleaning service, or does not pay the compensation without reason; the enforcement of unpaid remuneration is the responsibility of the SERVICE PARTNER. Any changes (date, time or duration) for a confirmed booking are possible at any time if agreed by The Clients. In this situation, Real Support will contact the Clients before making any changes to the booking requested by a SERVICE PARTNER. REAL SUPPORT will issue an invoice to the clients for the service provided by service partner behalf of Service partner. In addition, inform/send it to clients and service partner by email and make available in the platform profile for future need. The payment service provider will keep the amount paid by the CLIENTS for the SERVICE PARTNER in a trustee (Real Support) account. The payment service provider shall pay the service fee paid by the CLIENT to the SERVICE PARTNER, less the commission of REAL SUPPORT. The first payout period includes orders from the First to the 10th of the month and paid no later than the 18th of that month. The second payout period includes orders from the 11th to the 20th of the months and paid no later than 28th of the month, 3rd payout period include an order from 21st to End of the month and paid no later than 8thof the following month. If the SERVICE PARTNER wishes to provide additional services to a CLIENT who is already a REAL SUPPORT CLIENT who has received a SERVICE in the last 6 months, the SERVICE PARTNER is required to indicate to the CLIENT that a REAL SUPPORT booking request is required. If the SERVICE PARTNER execute new orders from a REAL SUPPORT’s CLIENT outside platform, REAL SUPPORT shall be entitled to get a payment of reasonable compensation for the commission loss by the elimination of orders From the CLIENT in the amount of EUR 500 plus VAT. REAL SUPPORT shall be entitled to terminate the transmission of booking requests to a SERVICE PARTNER if they do not accept any booking requests for more than one month. At the request of the SERVICE PARTNER, the transmission may be resumed at any time. The SERVICE PARTNER agrees that REAL SUPPORT shall contact by e-mail, telephone or mail to improve and extend the offers of the portal www.real-support.com and to discuss the satisfaction with the offerings of the platform as well as to provide information on the supplement, extension, news and cooperation offers. REAL SUPPORT and SERVICE PARTNERs shall treat information on CLIENTS, process flows, and services to be rendered by the parties and the commission (even after the termination of the contract) strictly confidential if and insofar as they are not obligated or authorized by law or by contractual agreement to disclose. Booking from our platform for any service listed, not confirmed until any service partner accepts the booking. As soon as booking confirm, clients get a confirmation notification by email, a user profile in our platform or individual case by SMS also by Calling. REAL SUPPORT shall not be liable for the performance of the service contract by the SERVICE PARTNER for any services not booked through the portal. User/Clients who are interested in book service from our platform, need to agree on the terms and condition described in the price list https://real-support.com/unsere-preise for specific service. All Booking cancellations need to be processed through the REAL SUPPORT platform, email or by phone to REAL SUPPORT. Any Booking request that has not been accepted by a SERVICE PARTNER can be canceled without charge. Any confirmed Booking could cancel or amended up to 36 hours period of booking scheduled time, without charge. Any regular booking (weekly cleaning or bi-weekly cleaning) without full-fill the specific minimum booking requirement, have to pay the full payment for all complete booking as onetime booking. Cancel up to 36 hours before of booking schedule time- free of charge. Cancel up to 24 hours before of booking schedule time- 25% from total service cost was booked. Cancel up to 12 hours before of booking schedule time- 50% from total service cost was booked. Less than 12 hours before booking schedule time- 100% from the total service cost was booked (entitled to pay full amount). Any changes (date, time, duration or cancellation) for a confirmed booking are possible free of charge at any time if agreed by the assigned SERVICE PARTNER. Removal service/Re-Location service that can be booked through our platform. In addition, have the option to pay in cash. Any booking for Moving service also applies all condition same as another service. Cancel up to 24 hours before of booking schedule time- free of charge. Cancel up to 12 hours before of booking schedule time- 25% from total service cost was booked. Cancel up to 6 hours before of booking schedule time- 50% from total service cost was booked. Less than 6 hours before booking schedule time- 100% from the total service cost was booked (entitled to pay full amount). Cancellation of a confirmed moving service booking applies the same fees as written. In addition, we will send you an invoice if the booking was planned payment in cash as a specific cancellation fee. Subscribe our newsletter and you can get free notified delivered straight to your inbox. Subscribing below.